Are you looking for a way to restore your smile without spending a fortune or a lot of time in the dental chair? Dental bonding can be an economical solution for stained, broken or chipped teeth and other minor cosmetic dentistry issues. The cost of dental bonding is much lower than other types of dental cosmetic procedures like veneers and crowns. Dental bonding typically can be completed in one office visit as well. Dental bonding is a procedure that uses tooth-colored composite resin material to hide minor tooth defects. The bonding materials, called “composite resins”, are applied to the tooth surface, sculpted into shape, hardened, and polished. Dental bonding is commonly used to repair chips of the tooth, close small gaps between the teeth and fill cavities. How expensive is the procedure? The average cost of dental bonding ranges from $300 to $600 per tooth, making it one of the least expensive cosmetic procedures. In contrast, the cost of porcelain veneers and crowns can cost up to $3,000 per tooth. The cost of dental bonding varies depending on the purpose of the bonding procedure. 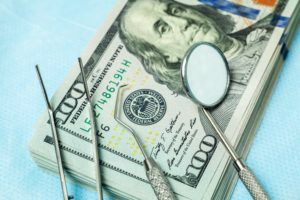 The price can vary based on the complexity of the procedure, the expertise of the dentist and the cost of living in your area. 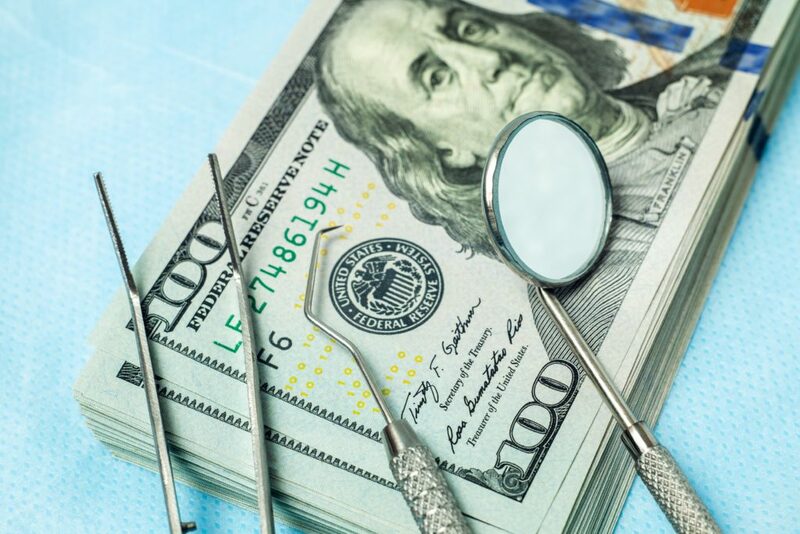 The cost of dental bonding is often offset by dental insurance plans — particularly when it is done to fill a decayed tooth or to maintain the structural integrity of your tooth. When bonding is completed for solely cosmetic reasons, insurance companies may choose not to pay for your bonding. Always check with your insurance company to see if your procedure is covered before you begin. Since dental bonding does not involve laboratory work, tooth bonding can usually be completed in a single office visit. The process is minimally invasive and you can even have multiple teeth bonded in one session. Composite resins for dental bonding come in a variety of shades for natural-looking results. Composite resins contain a mixture of plastic and glass that add to the strength and translucency of the repair. The composite actually becomes one with the rest of your tooth. When dental bonding is completed by a skilled and experienced dentist, it may be impossible to distinguish a bonded tooth from its surrounding teeth. The bonding procedure for each tooth usually takes 30 minutes to an hour. It is a simple procedure that does not require anesthesia except in the case of composite fillings for a decaying tooth. First, the surface of the tooth is cleaned so it is free of plaque. Next, the surface is “etched” with an acidic gel to open up tiny pores in the tooth enamel. When the etching gel is rinsed off, the liquid composite resin is painted on in a thin layer, filling the tiny pores and creating a strong bond. An ultraviolet light is then used to harden the bond. Your dentist will continue to build up layer by layer until the proper thickness is reached. The bonding material is then shaped with a dental drill. Once the tooth looks natural and fits in perfectly with your bite, a final polishing will make the area smooth and shiny. Dental bonding lasts an average of 8 to 11 years depending on the location of the tooth, the patient’s bite and their eating and chewing habits. It is a cost-effective solution for children and teens because they often have to wait until their mouths and teeth have finished maturing before they can undergo permanent dental restoration. Since dental bonding is a cosmetic procedure, it takes skill to make your teeth look their best. Therefore, it is important to choose an experienced dentist. Before the procedure, ask to see before and after photos of previous patients to better understand the way your teeth will look after the dental bonding procedure. Dental bonding may not the right solution for everyone, but it can be an economical way to fix minor tooth defects and improve your smile. Our dentist can evaluate your situation and recommend what’s best for you. If you have a chipped tooth or a small gap you would like fixed, schedule a visit with our dentist to find out how dental bonding can keep your teeth looking and feeling their best. We have experience performing dental bonding procedures that will provide an economical and lasting fix for your teeth. At EVDP, we accept most dental insurance plans. Use our online scheduler or call 480-838-3033 to schedule an appointment today!